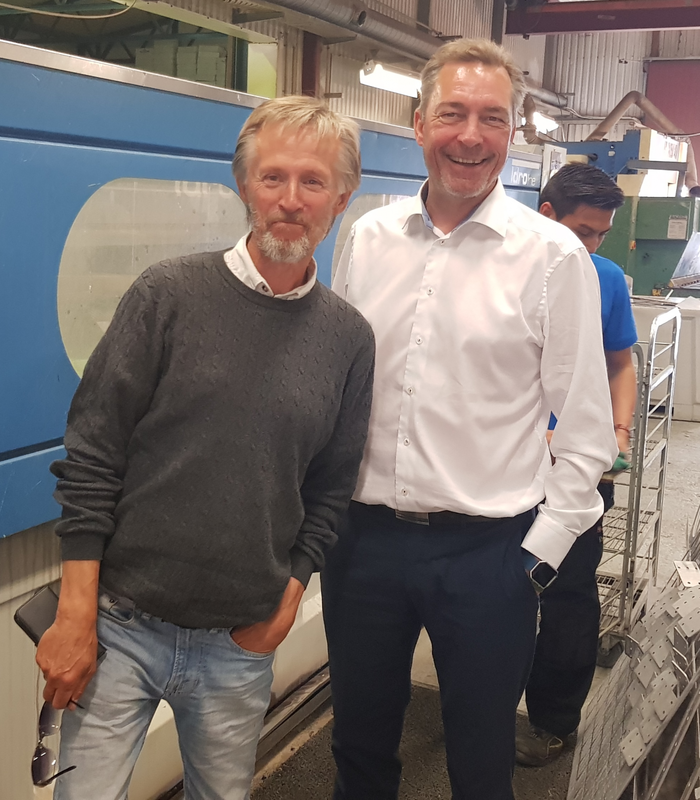 On tuesday the 11th of july Frank Bakke-Jensen (EØS- and EU minister of Norway) and Arne Kirkfjell (Innovation Norway) visited us. In addition to a tour at our company we had useful discussions regarding innovation in small and medium sized companies in the districts of Norway. This entry was posted in Nyheter and tagged Frank Bakke-Jensen, Innovasjon, Innovasjon Norge, SMB.